To check your eligiblity for the Monthly Programming Competition please login. If your not registered user register here to participate in this competition and win certificates and cash prizes. Check the current status of this competition below. Are you a good programmer? Do you love programming? Are you always looking for challenges? Can you solve complex problems quickly and efficiently? No matter how many programs you write, do you still want more? If the answer is yes for the above questions, then Merit Campus is looking for programmers/students like you. It is conducting programming competitions to challenge and showcase your programming skills. Be ready to strain your brain muscles. Currently we are conducting State Level Monthly Programming Competitions. Who can participate in this? Anyone who is currently pursuing graduation/postgraduation degree. Branch/Percentage is not a barrier. All students from all branches are welcome. Every student can participate in next six monthly competitions from the time of registration. An amount of Rs. 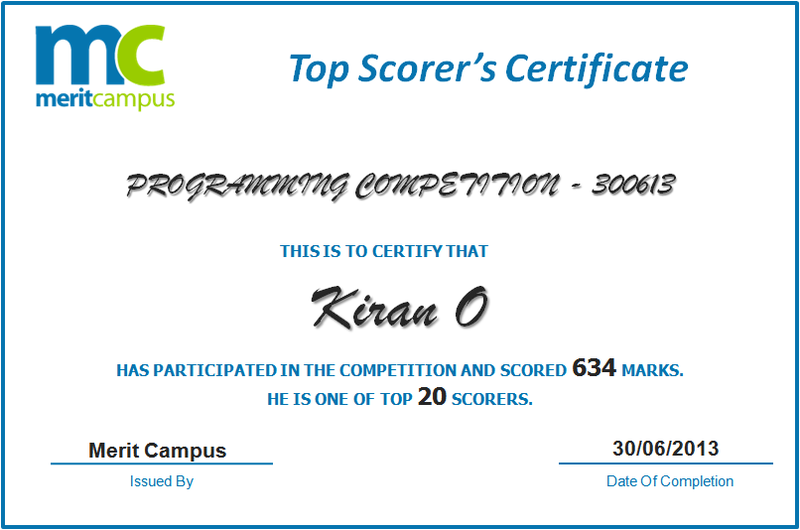 6000, distributed between the top 10 scorers depending upon their scores. Total prize amount of competition is Rs 6000 . Cutoff marks for winning competition is 700. Max number of winners for competition is 10. 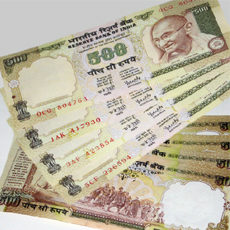 Per person share amount is Rs 500. Total share amount is Rs 5000 (Per person share amount * Max winners). Winner 1 will get bonus of Rs 500. Winner 2 will get bonus of Rs 300. Winner 3 will get bonus of Rs 200. Winners should get at least 100 marks in month. The total share amount will be given according to the winners marks percentage. Top 10 scorers will get a certificate from Merit Campus. With in 5-6 days, after first monday, we will announce the prizes depending upon the marks scored. How to register for these competitions? Send us an email at register@meritcampus.com with the details like Full name, College Name, College Roll Number, Mobile Number, Year of pass out (2011/2012), scan copy of latest marks list, whether you have internet access. Please call/SMS us at 8500-MC-CALL (8500-62-2255) or mail to register@meritcampus.com, if you face any problems/questions while registering.